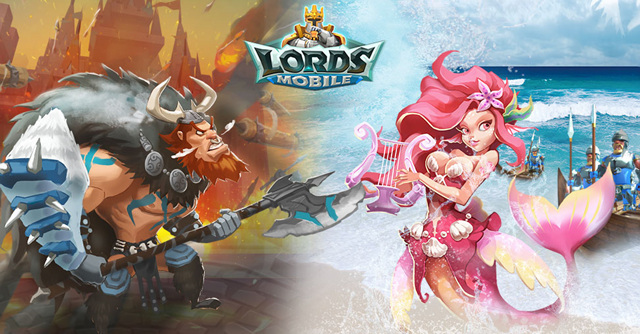 When we install the lords mobile game, we find it very amusimg. We can get all the resources within game, and if there is maintenence we get gems too. When you start the game, you will get 3 days shield ,try to get your castle to lvl 13 because then you can trade resources and speed up from the cargo trade ship every 6hrs. Try to search for a guild for urself, where you can grow because guild provides helps,guild gifts and resources. There are 4 types of troops we call it t1 ,t2 ,t3 and t4. We get to open the t1 first and rest accordingly. My advice to all is that only make t1's unless you open t3 cause t3 troops will be useful later in combat. There are 5 type of rss stone ,wood, food,gold and ore.
Dont make a mix base with all type of rss buildings. 1 of each type will be needed, but rest try to go for 2 type of rss buildings like stone and ore ,or any other combo. Here troops can be saved if someone attacks u ,so do upgrade it accordingly. It is very useful building. Heros are the most important part of the game ,as you open a hero profile you will see it gives some boosts. The heros have 5 lvls to be upgraded starting with silver ,then green ,blue ,purple and last gold. To upgrade them ,you will have to clear hero stages . In the beginning ,you should focus on the hero named " Trickster". It gives research boost ,and monster hunting boosts. When we start playing we try to reach greater lvl in a minimum time. We try to do it in the equipments too and here we make some low lvl equipments which depletes our material. Try to make equipments on lvl 40 and above because we will reach lvl 40 player lvl pretty soon. Main equipments to make, Lunar flutes for reseaech boosts and Sentinel circlet for Construction boosts. Next Next post: What makes your Guild special?